I have shared a few of these images on my blog before, but the search is still on. I've been looking for the perfect wide brim hat for ages. With the seasons changing and the layers piling on, now seems like the perfect time to have one. I've been holding my breath hoping I'll be able to find one thrifting but it's starting to seem like my luck won't be great. If anyone has seen any good, relatively priced ones online... LET ME KNOW!! 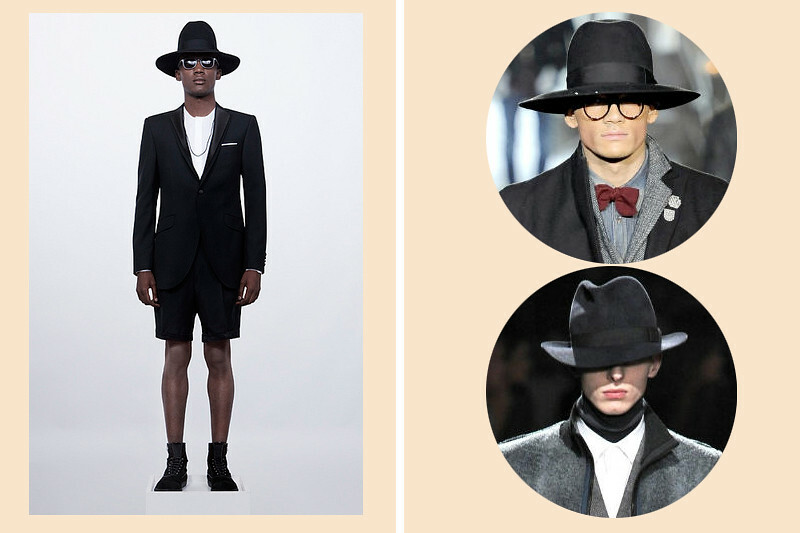 In the meantime I'll just have to watch this video on repeat and pretend I'm decked out head-to-toe in Dior Homme. Livin' the dream, literally. While I'm at it I wanted to share my latest little DIY project. For the last while my blog has been coming up in conversation and it was always such a hassle trying to direct people to my website. I can tell them the name over and over but the likelihood of them remembering seemed small. I figured the best way to let people know was to make myself some business cards. Obviously, knowing me, I couldn't just take the easy way out and order regular business cards. No, I had to do something at least a little bit creative with it. 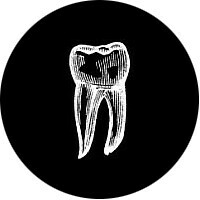 So, I went onto Simon Stamp and ordered myself two stamps: One of the tooth logo I've been using on my blog, and the other of my contact information. The stamps arrived and they are perfect! I love the idea of being able to mix up the stamp color for the tooth logo on the back. 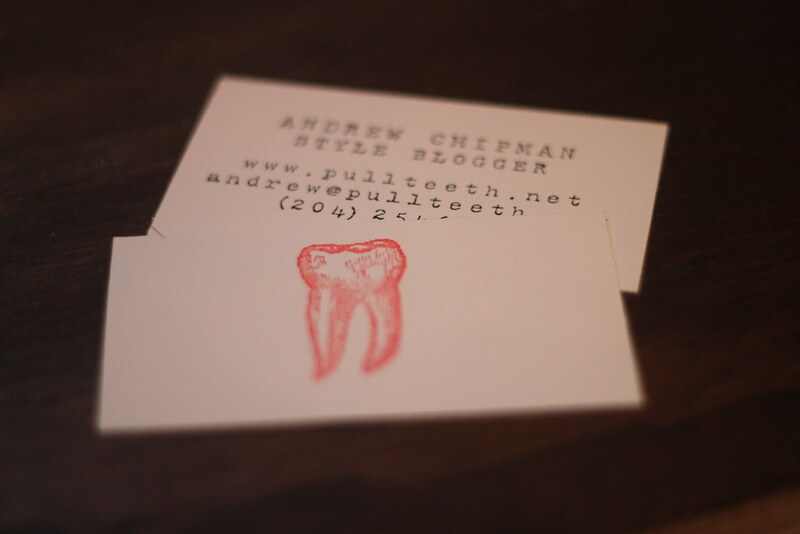 For the first batch I opted for a red tooth with simple black font. The stamps are quite relively priced especially considering I can now make an infinite amount of cards. So...what do you think!? I'm a girl and I am waiting for the day that I'd decked out in Dior Homme. Le sigh. That's a great idea for a business card. It fits since you love DIYs. I love the look of them. I can tell that the font is Courier New. My favorite font. Hahaha. the cards look awesome! the versatility of stamps is great. but flattered that we look young enough! hey dont ever wear a hat like this ever when you are around me. wide brim hats are rad. Yay! I love stamps. & they look really amazing. The detail is fantastic on the tooth. Me & my friend used to get stamps made for each other... shame it peetered out. Oh well. Now I have stamp envy! fashion is all about the pretending anyways, right? Dream on, brotha. yeah thanks, it actually IS a clutch thing which is some sort of mesh fabric. lost a bigger one of those same badasses somewhere during the summer ..
soo cute, what a great idea with the stamps. ooomg tell me about it ive been trying to find the perfect hat too, hasnt happened yet! Love the videeeeooo soo coool!! also awesome business cards very tasteful! that is such a good idea and those look great. If a tree falls in the forest, does it make a sound? Likewise, if no one is buying, does the concept of "selling" apply? Hi all, found this site inadvertently while searching across the net this morning, and delighted that I did! I do like the custom business cards structure and coloring. I really like your content plus the site as a whole. Opening your own business is an exciting venture. One of the first things you should do to ensure your success is write a business plan.Will certainly visit your site more often now. Card is matching with wallet but matching with hat is innovative idea.